This website is a collection of resources for transgender and gender diverse people, friends, family, allies, and medical providers to explore, navigate, understand, confront… and even fall in love with, trans realities and journeys. 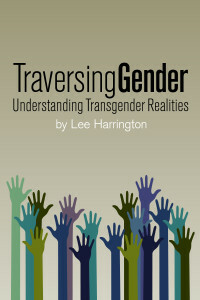 It is the partner project to the book “Traversing Gender: Understanding Transgender Journeys” by Lee Harrington, published June 1st, 2016. This is an ever-evolving project. You too can help build this free resource for everyone. Feel free to submit additional resources here as they come out!